So my disaster of an art day ended up at the Natural History Museum. But never fear, this clever little Cathedral has made art out of dinosaur bones. 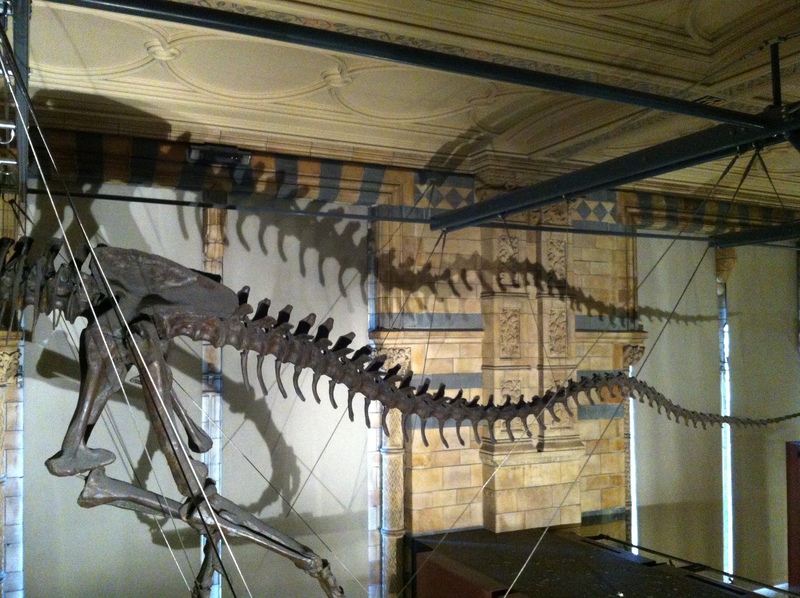 The dinosaur hall has a suspended platform above the main exhibition – it gives you a chance to see the skeletons up close. What made it into art was the lighting. It cast intricate skeletal shadows on the brick walls. It gave the impression that you were being stalked, the shadows got your heart racing before you came face to skull with the beast itself. Some shadows created perfect little moments, like the tale above – mimicked and distorted in shadow.